Poll shows people who voted for the party are not pleased with its handling of key questions. 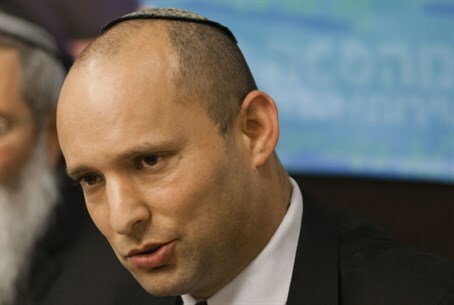 Many of the people who voted for the Bayit Yehudi party in January's elections are not very happy with the way the faction has been handling key issues, a poll shows. The poll was carried out by Panel Sample Project, with a representative sample of Bayit Yehudi voters, and will be published in this week's Hebrew Besheva magazine. Participants were asked if they were pleased with the party's handling of the matter of electing a Zionist rabbi to the Chief Rabbinate, in view of the split within the party over the issue. Only 29.6% answered in the positive, while the rest, 70.4%, said they were not pleased. Regarding issues that concern the hesder yeshivas (yeshivas that combine army service and Torah study over a five year period), too, about two thirds of the voters were not happy with the way the Bayit Yehudi handled things, while the remaining third were pleased. The austerity budget includes cuts to the hesder yeshiva budgets. In addition, there has been controversy over an initiative to lengthen the period of military service of hesder yeshiva students.